Quickly test soil moisture. No batteries required! More details below! 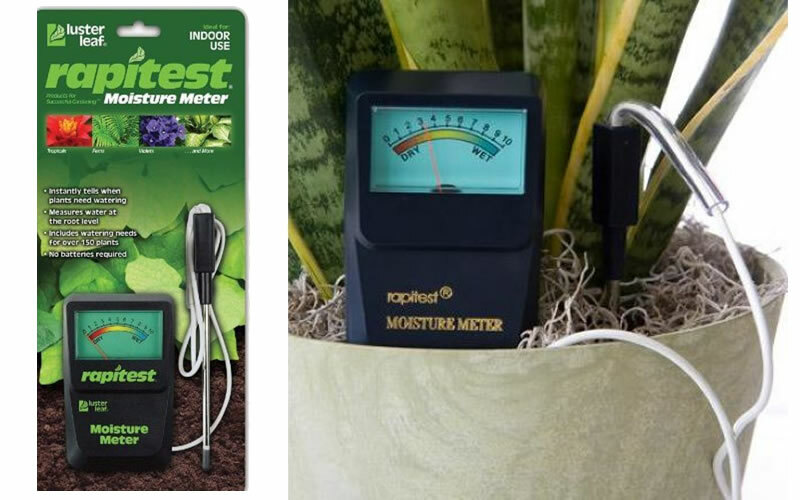 Instantly measure soil moisture levels with this meter. Gauge displays on a scale of 1-10 (dry-wet), and tethered stainless steel probe will measure water at the root level. Includes watering needs for over 150 plants. No batteries required for operation. 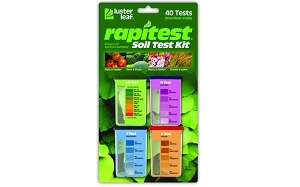 Why test your soil pH? Different types of plants require different levels of moisture in the soil. Some like drier soil while others like a consistently moist or even boggy soil. Know your plants moisture needs. Then plant in an environment that will fulfill those preferences. On every plant page in this website you will find soil moisture preferences. 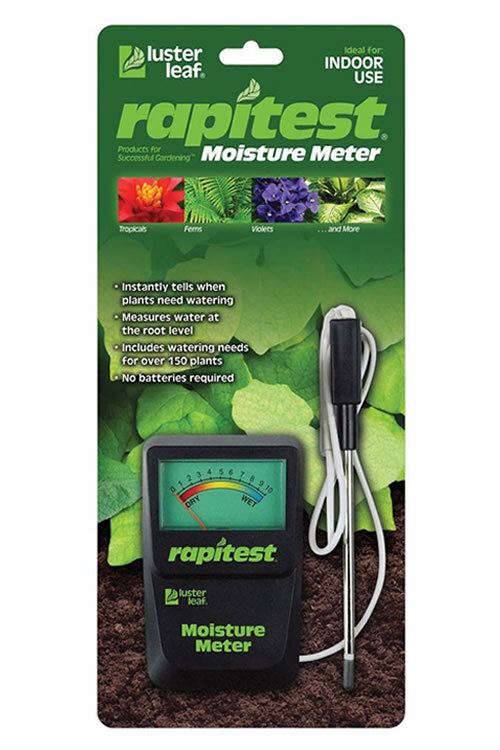 There are many ways to test soil moisture but the easiest way to do it is using a moisture testing meter. Its a good idea to test soil moisture frequently, especially on newly planted plants, and during the hot summer months and cool winter months. During summer, soil can dry out more quickly. During the cooler winter months, soil dries out much more slowly and plants won't require as much water. In any event, it's always best to check soil moisture before watering.